Roba is an independent, family-owned Dutch company with over 75 years experience, which occupies a solid position on the global metal market. Establishing itself as a major player in the UK aluminium scrap sector and developing a loyal supplier base amongst both scrap merchants and factories alike. At Roba, we have a real passion for metal. Through a unique blend of relationship management and expertise in non ferrous metals in their respective markets, Roba Metals focuses on providing a tailormade service to factories throughout the uk, providing a professional approach and financial security. Roba Metals ......... a passion for metal. 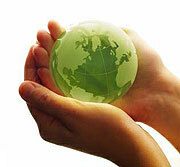 Roba Metals achieves the highest levels in protecting the Environment across all aspects of our Business. From the most environmentally friendly handling of waste products in our own furnaces to the successful reduction of carbon footprints. A classic example is the installation of size-reduction plant (balers, briquetters or pucking machines) which have immediate environmental and financial benefits. Quality is at the forefront of everything we do, and our quality is second to none in the industry. Accordingly, Roba Metals is ISO 9001:2008 and ISO 14001:2004 accredited. All our systems and procedures are governed by this internationally recognised quality standard.